Following KISAN agricultural training, Shanta increased her income in just one season from selling vegetables. Shanta B.K., 33, lives in the Narpani, Arghakhanchi district in western Nepal with her husband and four children. She is a member of the Dalit community, a disadvantaged group in Nepal, but despite the challenges she faces, Shanta has been determined to improve her livelihood by becoming a commercial farmer. By participating in KISAN trainings on vegetable production, Shanta was able to improve her yields and income; she also manages a formal farmers group. Her vegetable farm is so successful now that her husband was able to return home from working overseas. In this area of Nepal, farming, including vegetable production, is the primary occupation for most people who are mostly smallholders earning low incomes. Shanta is a farmer, housewife, and vegetable retailer, growing vegetables on the two ropani (less than one acre) of suitable agricultural land that her family owns. Her husband worked overseas as a migrant laborer in order to support the family. Being a strong and determined woman, Shanta was looking for opportunities to improve her families’ standard of living. 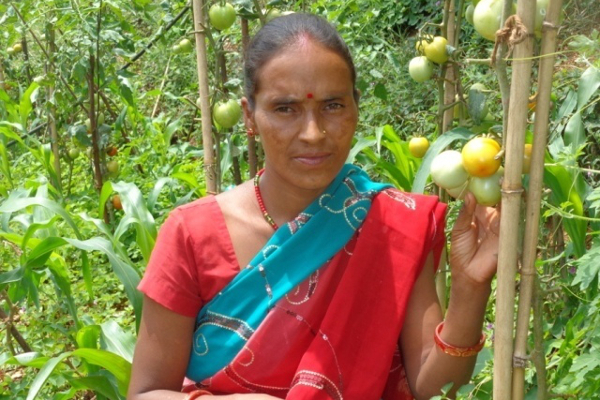 Through the KISAN project, Shanta was trained in how to raise vegetables. She learned about crop planning and linkages, vegetable nursery and crop production management, crop plantation technology, post-harvest and marketing training, and bio-pesticide (Jholmol) preparation. She also learned about new technologies that can improve productivity, and how engaging in both seasonal and off-seasonal vegetable production can further increase her income. Shanta also joined the Deurali Dalit Women Agriculture Group in Jagat, Arghakhanchi. Of the 16 members (all of whom are women and from the dalit community) in this agriculture group, she is one of the most active members and is currently serving as Secretary for the group. Shanta’s husband, Jhagilal, was able to return from being a migrant laborer due to her increased income from selling vegetables. 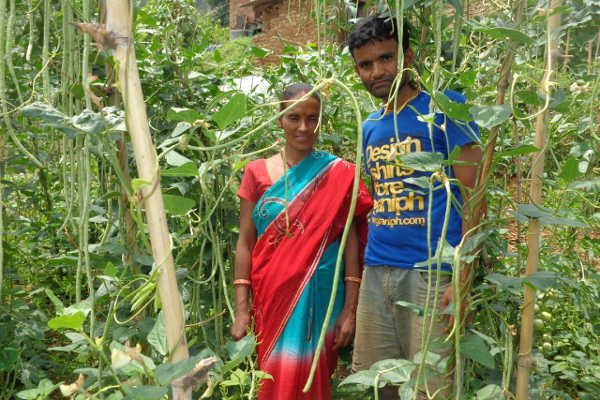 The KISAN trainings changed the way Shanta thinks about vegetable production. After attending all of the training sessions and demonstrations, she applied the new technologies and practices to her vegetable farm. Shanta is no longer just producing vegetables for consumption — she is now able to sell surplus produce to a nearby market. She has been able to give back to her agriculture group, which helps train women of the community in bettering their vegetable production technology. She is proud to be a prime example in the Dalit community of how access to knowledge-based training and technology motivates and helps marginalized communities overcome barriers to successful vegetable production.